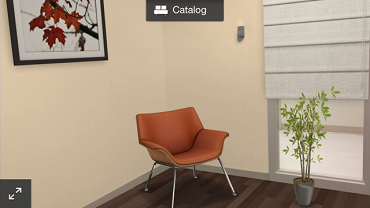 I recently stumbled upon a neat tool from Autodesk® called “Autodesk® Homestyler”. It’s surprising to see they have rolled out a tool that is more entertaining than utilitarian, but if a CAD company were to develop something fun for the general population, I suppose an interior design app makes sense. We took it for a test-drive. Here’s how it went. 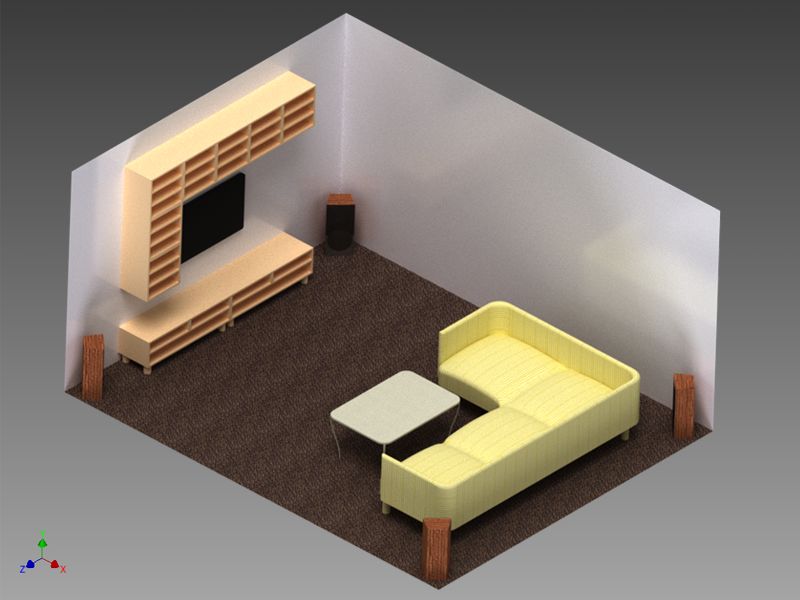 Autodesk® Homestyler requires you to include the floor and at least two walls, so I decided to test it out with an empty corner in my office. The first step was to take a picture from within the tool (you can also choose one from your photo gallery). Next, markers appeared with a guess at where the corner and walls aligned. It was a close match and required few adjustments. The final step before getting to the actual design aspect involved defining the dimensions. That’s one giveaway that this is an app developed by a prominent CAD company — it’s accurate. For the intents and purposes of this test, the ceiling height did not need to be spot-on, but it’s good to see you have the option. It did not take much time to get the hang of the tool; I added furniture and decor in no time. Changing flooring and painting the walls was really simple too. As you can see below to the left, the thermostat is actually attached to the wall, and I assumed it would be covered up when the paint was added to the design. That was not the case, however; the tool was very good at determining where the thermostat was located. I had to touch it up a little, but it only took a second to do. It was a similar story with the floor. Since the location of the corner and walls had already been determined, the estimated location was pretty close to the actual. Again, I had to tweak it a bit to get it just so, but it was a pain-free process. 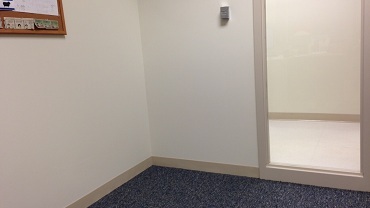 Before: Empty corner in my office. 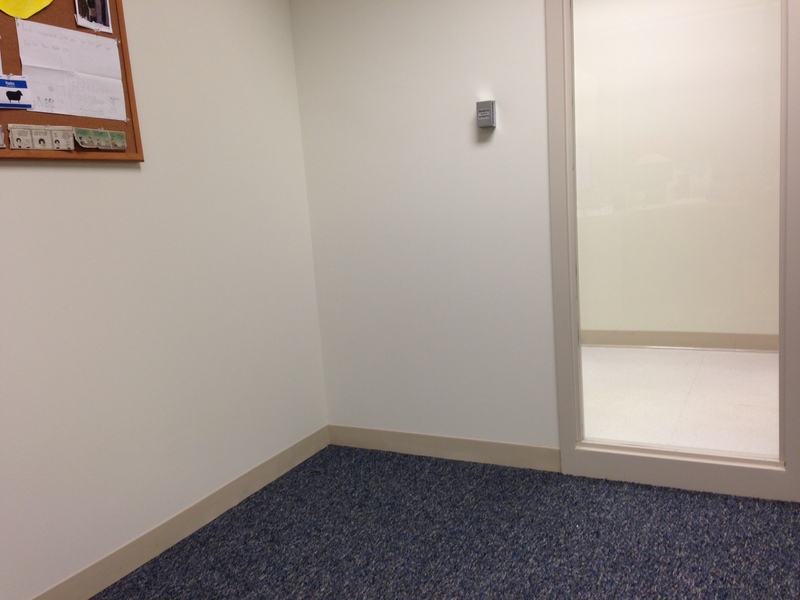 After: My office gets a make-over. 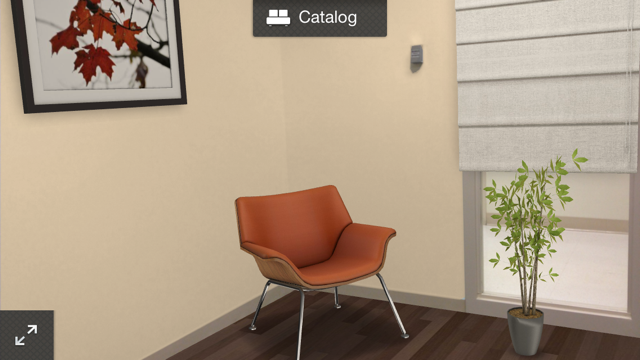 Screenshot from the Autodesk® Homestyler app. The catalog of furniture and decor is pretty extensive, covering everything from kitchen appliances to potted plants. All of the objects are represented by high-quality 3D models, lending a realistic view of what the room might look like. As you can see in my office design, some of the items even look like photographs. Now that’s high quality. Intrigued and ready to give your own room a design overhaul? You can download the app for free from iTunes® and Google Play™. If you’re into designing your own room, why not make sure it’s perfect from an acoustics stand-point as well? Let’s consider where we should put the TV and loudspeakers so they don’t only look great, but sound great, too. 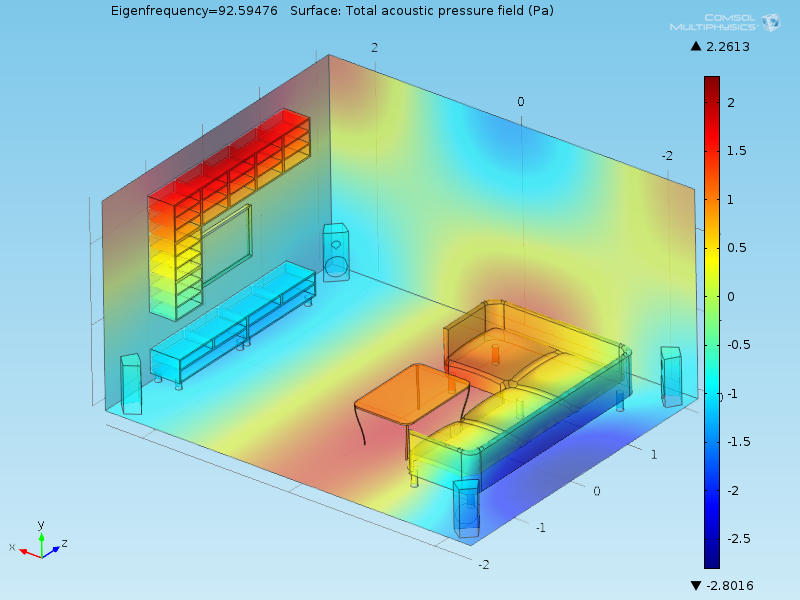 My colleagues in Germany have modeled a living room with furniture and four speakers placed inside, with the goal of analyzing the eigenmodes of the room. By visualizing the sound intensity pattern for specific eigenfrequencies they were able to determine where to place the speakers in order to achieve the best sound. A furnished room will have somewhat different eigenmodes from an empty room, so the existence and placement of the furniture is important. Geometry: CAD model of a living room created with Autodesk® Inventor® 2014. Analyzing the eigenmodes of a living room with this COMSOL model: Any sound field in the room is a combination of these modes. The model shows the mode at about 93 Hz. The response of the speaker system can be modeled with a frequency domain analysis by adding the speaker diaphragm movement and sweeping over the frequencies. The CAD geometry (above, left) was generated in Autodesk® Inventor® 2014 and then imported into COMSOL Multiphysics® via LiveLink™ for Inventor®. If you’re interested in the model files and a description of the problem, you can access them in the Model Gallery. By the way, we’re going to Autodesk University in Las Vegas on December 3-5. Will we see you there? Autodesk, Inventor, and Autodesk Homestyler are registered trademarks or trademarks of Autodesk, Inc., in the USA and other countries. iTunes is a registered trademark of Apple, Inc. Google Play is a trademark of Google Inc. COMSOL, COMSOL Multiphysics, and LiveLink are either trademarks or registered trademarks of COMSOL AB, and are not affiliated with, endorsed by, sponsored by, or supported by any of the other trademark owners mentioned here.